Mastering Motivation — Jay Williams Ph.D.
TLC 1: Master your mood and motivation. Motivation, mood, and belief are essential components on the path to optimal health and you can call upon these fundamentals to keep you focused, even when you don’t feel like staying on a healthy program. I have witnessed clients who were chronically tired or even depressed and had a dramatic turnaround in energy, mood, and productivity in just hours by using the motivational strategies in The 24 Hour Turnaround TLC 1 to think positively and change their inner beliefs. John Zulli, Ph.D., a mind sciences genius, created our Mastering Motivation technique. 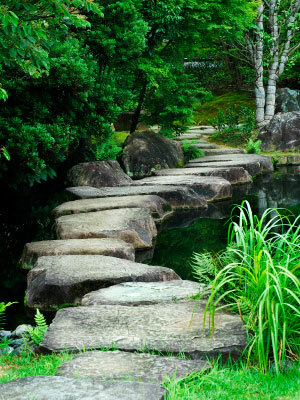 Zulli says, when we have the right motivational tools, we can immediately change our lifestyle, including poor eating habits, sleep problems, sedentary behavior, and how we cope with stress. A recent study showed that 96 percent of women interviewed agreed that when they feel fit and healthy, they’re better able to handle other areas of their lives. 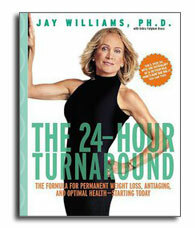 The specific motivational steps offered in The 24-Hour Turnaround will give you the tools to feel healthier, change a negative thought process, and achieve weight loss and optimal fitness. In doing so, your relationships, career, and other aspects of your life that depend on positive communication will greatly benefit starting today! Get Started Today: Make up three positive “I am” statements. Think of three positive statements that describe the new you—the healthier, leaner, and younger-looking you that will come as a result of your Turnaround. A host of studies confirm that among hospital patients, those who have positive expectations of their outcome tend to heal faster than those who are less hopeful about reaching their goals. It may be because positive expectations trigger a physical healing response while they motivate patients to be compliant and stick with prescribed therapies. In one review of the literature, researchers concluded that the association between positive expectations and reaching a health goal was the greatest in studies of patients who were trying to lose weight. Remember to write positive statements in the present tense. I don’t want to hear about what you won’t or cannot do today or in the upcoming weeks. Your past is just that—past! In my chapter on mastering motivation, TLC 1, I explain why positive thinking can keep you motivated to stay with your 24-Hour Turnaround. For now, write down your three statements, and then read them aloud. Memorize them, and say them as you fall asleep tonight, and then again upon awakening before you get out of bed. Keep the Turnaround definitions in mind as you write your statements and become the new you. The word motivation comes from the Latin word movere to move. Motivation is not something you have or do not have, but more like a throttle that has a low, medium, and high gear. Highly motivated people know how to rev up this mechanism everyday. 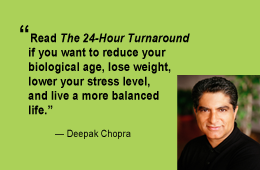 In the 24 Hour Turnaround TLC 1, you will acquire the motivational skills to keep you on the path to a lean body, good health, and an extended lifespan. Mind. Noun: The part of an individual that knows, thinks, reasons, wills. Awareness. Spirit. Noun: The breath, the immaterial part of man, his religious or emotional nature. Energy. Regimen. Noun: Set of habits of diet, exercise, or manner of living intended to improve health or reduce weight.